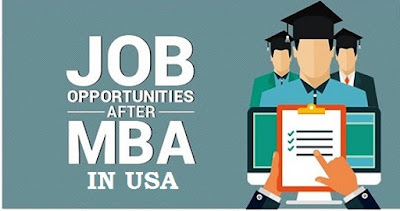 MBA Jobs in USA for Freshers If you are about to graduate from college with an MBA, you may be wondering how to enter the American job market. Luckily, the good news is that if you have an MBA, there are lots of excellent opportunities open to you as this is a highly desirable qualification in the USA. If you are interested in finding MBA jobs in USA for freshers, this article will help to point you in the right direction and help you to get your foot on the first rung of the career ladder in your chosen field. An MBA (or Master of Business Administration) is a degree that is recognized all over the world. Designed to help graduates to develop the essential skills that are necessary to have a career within the business management sector, an MBA is a desirable qualification not only within the world of business but also within many other sectors such as the government and the public sector. Although the MBA degree program originated in the USA at the beginning of the 20th century, today there are equivalent programs offered all over the world and therefore, if you have studied overseas, you can still often access the American job market with your qualification, whether you have taken the traditional 2 year program or the fast-track one year program which has become much more common in recent years. Which Job Sectors Can I Work In As An MBA Fresher? This role involves establishing the technical vision of a company as well as the overseeing of its technological development and the management of the company's technology team. They may also be responsible for overseeing development and research projects and for establishing technical standards. This is the ideal job for you if you have specialized in ICT management during your degree. This job involves overseeing an organization's computer related activites as well as the implementation of their websites and the installation of hardware and software. It may also involve the development of the company's computer network and its subsequent security and maintenance. If you have specialized in ICT management during your course, this will set you in good stead for success within this field. Financial management is a lucrative career move for any MBA fresher and involves the overseeing of the financial transactions and activities of a company. From investments and cash management, this role encompasses the creation of the business' financial procedures and the overseeing of the budgeting process. It may also include activities such as handling mergers, raising capital or assessing global financial transactions. If you have specialized in finance, you are likely to be successful in this sector. This varied role can involve the overseeing of individual healthcare departments or even entire healthcare facilities to ensure smooth operation. A financial specialism may be useful in obtaining this job, and some institutions even have the option of concentrating on health services management in their course. If you have specialized in marketing, you may be considering applying for a job in marketing management. With a remit of increasing profitability and sales, a marketing manager researches trends, identifies opportunities, estimates demand and develops company marketing campaigns. A sales manager identifies and recommends improvements in a company's sales procedure and is responsible for creating new promotions and training programs for staff. It is also their job to set quotas and objectives as well as to analyze market trends and evaluate customers' needs. This is an ideal career path for someone who has specialized in marketing during their MBA course. If you are looking for MBA jobs for freshers in the USA, there are several options open to you. The internet is always a good place to begin your search, with many job sites such as Careerjet and Recruit.net listing available positions. If there is a company that you are particularly interested in working for, it is worthwhile visiting their website to see if there are any vacancies, or even sending off a CV outlining your experience. There are even some agencies which specialize in matching MBA graduates with suitable positions in the USA, such as GlobalMBACareer.com.